This week’s topic had me stumped for some time— and it’s not because I don’t read books. I am a weekly visitor to the town’s library, and usually have a couple books going. My problem is that I haven’t been keeping track of my reads: haven’t written down titles or authors— and the library is pretty useless about keeping a record of the books I’ve consumed as well. However!— I’ve scratched my brain cells and came up with a few books that must be REALLY great for me to have a lingering memory of them. Also helps that I’ve read two of them twice. The first time I read this book, I was in Botswana, and shared it with a few of my good friends. We so identified with some aspects of the friendships that the ladies had in the story, we decided to call ourselves the Yahoo Sisterhood— not too original, but the sentiment was there. 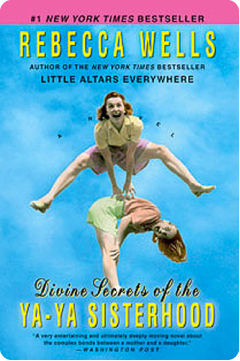 Aside from all that personal stuff, the book is a comical, sad, moving account of mothers, sisters, daughters and friends—all set in the south. Since I enjoyed the ‘Secret Life of Bees’— even though the story was sometimes hard to believe with its twisty-turny plots— I thought I’d try another one of Kidd’s novels, which is also set in the south. 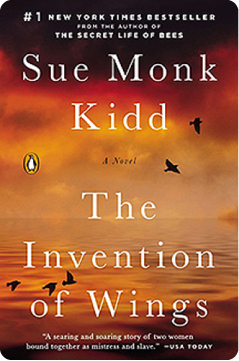 The ‘Invention of Wings’ follows the story of a Charleston slave, and her owner— the daughter of a wealthy family, who was given ‘Handful’ when she turned eleven. Sarah wants to immediately set her slave free, but of course is prevented from the rash act of liberation. The story is rich in diverse characters, and has a suspenseful plot that kept me spellbound. This book comes in two volumes, and I’ve read the whole thing twice. The setting is Japan in the 1600’s, and the story revolves around an ambitious Englishman and his struggles to achieve his aims, which are constantly thwarted by the most powerful feudal lord in Japan. 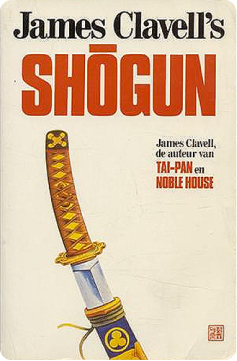 ‘Shogun’ introduces the reader to a fascinating array of characters and history, woven together for fantastic entertainment. The Englishman becomes very altered through his experiences, so much so that he adopts the culture—and the cunning—of his adopted country. Hmmm, maybe it’s time for a 3rd read.